TWO THOUSAND YEARS ago, a pair of brothers set out from the Holy Land to spread the Christian gospel. Saint Peter traveled to Rome, becoming the symbolic founder of Western Christianity. His brother, Saint Andrew, traveled to Greece, becoming a symbolic founder of Eastern Christianity. For centuries, the church they helped create remained a single institution. But one thousand years ago, west and east divided. Western Christians became Catholics, led by the successor of Saint Peter, the pope. Eastern Christians became Orthodox, led by the successors of Saint Andrew and other apostles, known as patriarchs. Today these are the largest Christian denominations on earth. Between them exists a small group known as Eastern Catholics, who confound all distinctions by following Eastern traditions while obeying the pope. This novel is set in 2004, when the dying wish of Pope John Paul II was to reunite Catholicism and Orthodoxy. It is the story of two brothers, both Catholic priests, one Western and one Eastern. MY SON IS too young to understand forgiveness. Growing up in Rome has given him the impression that it comes easy: strangers line up at the booths in Saint Peter’s, waiting for a turn to confess, and the red lights on top of the confessionals blink on and off, meaning the priests inside have finished with one sinner and are ready for the next. Consciences must not get as dirty as bedrooms or dishes, my son thinks, since they take much less time to clean. So whenever he lets the bath run too long, or leaves toys underfoot, or comes home from school with mud on his pants, Peter asks forgiveness. He offers apologies like a pope offers blessings. My son is two years shy of his own first confession. And for good reason. No little child can understand sin. Guilt. Absolution. A priest can forgive a stranger so quickly that a boy can’t imagine how hard he will find it, someday, to forgive his own enemies. Or his own loved ones. He has no inkling that good men can sometimes find it impossible to forgive themselves. The darkest mistakes can be forgiven, but they can never be undone. I hope my son will always remain a stranger to those sins much more than my brother and I have. I was born to be a priest. My uncle is a priest; my older brother, Simon, is a priest; and someday I hope Peter will be a priest, too. I can’t remember a time when I didn’t live inside the Vatican. There has never been a time when Peter didn’t. There are two Vaticans in the eyes of the world. One is the earth’s most beautiful place: the temple of art and museum of faith. The other is the sausage factory of Catholicism, a country of old priests who wag the eternal finger. It seems impossible for a boy to have grown up in either of those places. Yet our country has always been full of children. Everyone has them: the pope’s gardeners, the pope’s workmen, the pope’s Swiss Guards. When I was a kid, John Paul believed in a living wage, so he paid a raise for every new mouth a family fed. We played hide-and-seek in his gardens, soccer with his altar boys, pinball upstairs from the sacristy of his basilica. Against our will we went with our mothers to the Vatican supermarket and department store, then with our fathers to the Vatican gas station and bank. Our country was barely bigger than a golf course, but we did everything most children did. Simon and I were happy. Normal. No different from the other Vatican boys in any way but one. Our father was a priest. Father was Greek Catholic rather than Roman Catholic, which meant that he had a long beard and a different cassock, that he celebrated something called Divine Liturgy instead of Mass, and that he had been allowed to marry before being ordained. He liked to say that we Eastern Catholics were God’s ambassadors, middlemen who could help reunite Catholics and Orthodox. In reality, being an Eastern Catholic can feel like being a refugee at a border crossing between hostile superpowers. Father tried to hide the burden this put on him. There are a billion Roman Catholics in the world and just a few thousand of our type of Greek, so he was the sole married priest in a country run by celibate men. For thirty years, other Vatican priests looked down their noses at him as he pushed paper back uphill to them. Only at the very end of his career did he get a promotion, and it was the kind that came with wings and a harp. My mother died not long after that. Cancer, the doctors said. But they didn’t understand. My parents had met in the sixties, in that blink of an eye when it seemed anything was possible. They used to dance together in our apartment. Having survived an irreverent time, they still prayed together with feeling. Mother’s family was Roman Catholic, and had sent priests up the Vatican ladder for more than a century, so when she married a hairy Greek, they disowned her. After Father died, she told me that it felt strange to have hands anymore, what with no one to hold them. Simon and I buried her in a plot beside my father, behind the Vatican parish church. I remember almost nothing from that time. Only that I skipped school, day after day, to sit in the graveyard with my arms around my knees, crying. Then Simon would be there, somehow, and he would bring me home. We were only teenagers, so we were left in the care of our uncle, a Vatican cardinal. The best way to describe Uncle Lucio is that he had the heart of a little boy, which he kept in a jar by his dentures. As cardinal president of the Vatican, Lucio had devoted the best years of his life to balancing our national budget and preventing Vatican employees from forming a union. On economic grounds he opposed the idea of rewarding families for having more children, so even if he’d had time to raise his sister’s orphaned boys, he probably would’ve objected on principle. He put up no fight when Simon and I moved back into our parents’ apartment and decided to rear ourselves. I was too young to work, so Simon left college for a year and found a job. Neither of us knew how to cook, or sew, or fix a toilet, so Simon taught himself. He was the one who woke me for school and handed me money for lunch. He kept me in clothes and warm meals. The art of being an altar boy I learned entirely from him. Every Catholic boy, on the worst nights of his life, goes to bed wondering if animals like us are really worth the dirt God shaped us from. But into my life, into my darkness, God sent Simon. We didn’t survive childhood together. He survived it, and carried me through it on his back. I have never escaped feeling that my debt to him was so great it could never be repaid. It could only be forgiven. Anything I could’ve done for him, I would’ve done. “Is Uncle Simon late?” Peter asks. Our housekeeper, Sister Helena, must be wondering the same thing as she watches our dinner of hake overcook in the pan. It’s ten minutes past when my brother said he would arrive. Simon is flying from Turkey to Rome for an art exhibit curated by one of our mutual friends, Ugo Nogara. Opening night, still almost a week off, will be a formal affair to which I wouldn’t have a ticket myself except for the work I did with Ugo. But under this roof, we live in a five- year-old’s world. Uncle Simon has come home to give soccer lessons. She takes it upon herself to be the feminine voice of reason. When Peter was eleven months old, my wife, Mona, left us. Ever since, this wonderful old nun has become my life-support system as a father. She’s loan from Uncle Lucio, who has battalions of them at his disposal, and I have trouble imagining what I would do without her, since I can’t pay what even a reasonable teenage girl would expect to earn. Fortunately, Sister Helena wouldn’t leave Peter for the world. My son disappears into his bedroom and returns holding his digital alarm clock. With his mother’s gift for directness, he sets it on the table in front of me and points. The train. Not the uncle. Because it would be hard for Peter to under- stand that Simon sometimes forgets fare money or becomes absorbed in conversations with strangers. Mona wouldn’t even agree to name our child after him because she found him unpredictable. And though my brother has the most prestigious job a young priest can hope for—he’s a diplomat in the Holy See Secretariat of State, the elite of our Catholic bureaucracy—the truth is that he needs all the grueling work he can get. Like the men on our mother’s side of the family, Simon is a Roman Catholic priest, which means he’ll never marry or have kids. And unlike other Vatican priests, who were born for the desk and the ample waist, he has a restless soul. God bless Mona, she wanted our son to take after his dependable, unhurried, satisfied father. So she and I made a compromise when we named him: in the gospels, Jesus comes upon a fisherman named Simon, and renames him Peter. I take out my mobile phone and text Simon—Are you close?—while Peter inspects the contents of Sister Helena’s pan. “Hake is fish,” he announces, apropos of nothing. He’s in a classifying stage. He also hates fish. Actually, when Simon and I used to eat this dish, it was cod, not hake. But a single priest’s salary stretches only so far at the fish market. And as Mona often reminded me when planning meals like these, my brother—who is a head taller than any other priest inside these walls— eats as much as two ordinary men. Mona is on my mind now, more than usual. My brother’s arrival always seems to bring with it the shadow of my wife’s departure. They are the magnetic poles of my life; one of them always lurks in the other’s shade. Mona and I knew each other as children inside the Vatican walls, and when we met again in Rome, it felt like God’s will. But we had a cart-and-horse problem—Eastern priests have to marry before they’re ordained, or not marry at all—and in retrospect Mona probably needed more time to prepare herself. The life of a Vatican wife isn’t easy. The life of a priest’s wife is even harder. Mona kept working full-time until almost the day she gave birth to our blue-eyed baby who ate like a shark and slept even less. Mona nursed him so often that I would find the refrigerator empty from her attempts to replenish herself. Only later would everything come into focus. The refrigerator was empty because she had stopped going to the grocery store. I hadn’t noticed this because she’d also given up eating regular meals. She prayed less. Sang to Peter less. Then, three weeks before our son’s first birthday, she disappeared. I discovered a bottle of pills hidden under a mug at the back of a cabinet. A doctor at Vatican Health Services explained that she had been trying to bootstrap herself out of depression. We must not give up hope, he said. So Peter and I waited for Mona to come back. Waited, and waited. Today, he vows that he remembers her. These memories, though, are really details from photographs he’s seen around the apartment. He colors them with knowledge gleaned from television shows and magazine advertisements. He hasn’t yet noticed that women at our Greek church don’t wear lipstick or perfume. Sadly, his experience of church seems almost Roman Catholic: when he looks at me, what he sees is a lone priest, solitary, celibate. The contradictions of his own identity are still in his future. But he names his mother constantly in his prayers, and people tell me John Paul behaved in a similar way after he lost his mother at a young age. I find comfort in that thought. At last the phone rings. Sister Helena smiles as I hurry to answer it. I’m expecting the sounds of a metro station or, worse, an airport. But that’s not what I hear. The voice on the other end is faint. Far away. He doesn’t seem to hear me. The reception is poor. I take this as a sign that he’s closer to home than I expected. It’s hard to keep a signal on Vatican soil. “Alex,” I hear him say. He speaks again, but the line is swimming in static. It occurs to me that he might’ve made a detour to the Vatican Museums to see Ugo Nogara, who’s been struggling with the pressure of finishing his big exhibit. Though I would never say so to Peter, it would be just like my brother to find an extra soul to tend on his way in. Down at the dinner table, suspense is killing Peter. “He’s with Mister Nogara?” he whispers to Helena. But on the other end of the line, something changes. There’s a burst of hissing I recognize as wind blowing. He’s outdoors. And here in Rome, at least, it’s storming. His voice sends an uncomfortable tingle up my back. “What’s wrong?” I ask. The wind sets in again, and a strange noise slips through the ear- piece. It sounds like my brother moaning. My son is frozen, staring at me. I watch the paper napkin slip off his lap and drift through the air like the pope’s white skullcap caught in the wind. Sister Helena, too, is watching. “Stay right there,” I tell Simon. And I turn away, so Peter can’t see the look I know is in my eyes. Because the sound in my brother’s voice is something I don’t remember ever hearing there before. Fear. This reading group guide for The Fifth Gospel includes an introduction, discussion questions, ideas for enhancing your book club, and a Q&A with author Ian Caldwell. The suggested questions are intended to help your reading group find new and interesting angles and topics for your discussion. We hope that these ideas will enrich your conversation and increase your enjoyment of the book. In 2004, as Pope John Paul II’s reign enters its twilight, a mysterious exhibit is under construction at the Vatican Museums. A week before it is scheduled to open, its curator is murdered at a clandestine meeting on the outskirts of Rome. The same night, a violent break-in rocks the home of the curator’s research partner, Father Alex Andreou, a Greek Catholic priest who lives inside the Vatican with his five-year-old son. When the papal police fail to identify a suspect in either crime, Father Alex, desperate to keep his family safe, undertakes his own investigation. To find the killer he must reconstruct the dead curator’s secret: what the four Christian gospels—and a little-known, true-to-life fifth gospel known as the Diatessaron—reveal about the Church’s most controversial holy relic. But just as he begins to understand the truth about his friend’s death and its consequences for the future of the world’s two largest Christian Churches, Father Alex finds himself hunted down by someone with vested stakes in the exhibit—someone he must outwit to survive. 1. “He was my friend. His name was Ugolino Nogara” (17). What does Father Simon Andreou’s behavior at Castel Gandolfo suggest about his true feelings for Ugo Nogara? How does Simon’s younger brother, Father Alex Andreou, interpret the scene he encounters in the garden? Why does Simon’s behavior seem suspicious to Alex? 2. When he returns to Vatican City from Castel Gandolfo, Father Alex discovers that in his absence a man searching for him and Simon broke into his apartment. Why does Alex suspect that Ugo’s murder and the break-in are connected in some way to Ugo’s forthcoming exhibit? What do both of these disturbing incidents reveal about the dynamics of the sibling relationship between Simon and Alex? 3. “The image created a strange tension inside me. . . . [T]he Holy Shroud is king, the image at the heart of our faith” (46). Why is the carbon-dating of the Shroud to the Middle Ages significant to Alex and Simon? What role does their family history play in both brothers’ decision to help Ugo validate the Shroud’s authenticity? 4. What is important about Ugo’s discovery of the Diatessaron in the Vatican Library? Why do Ugo and Father Alex clash over what should be done with “probably the oldest complete gospel manuscript in the world” (85)? How does their disagreement highlight the rifts in historical and religious scholarship concerning the figure of Jesus Christ? 5. When Alex confronts Simon with physical evidence that Ugo was targeted like Michael Black, Simon explains that he cannot reveal more to his brother because he has taken an oath. Discuss the role of oaths in the novel. Does religious secrecy imposed by the papal state take precedence over legal and moral imperatives? How does Simon’s oath affect the information he can give to the papal police in the case of Ugo’s death? 6. “. . . Michael howls, ‘Helping Nogara? That’s what Simon told you he was doing?’ He gives a scornful laugh. . . . ‘Alex, your brother’s been lying to you. Lying to everyone’” (105). To what extent is Michael Black telling the truth when he calls Simon’s honesty into question? How would you characterize Michael’s relationship with the Andreou family? 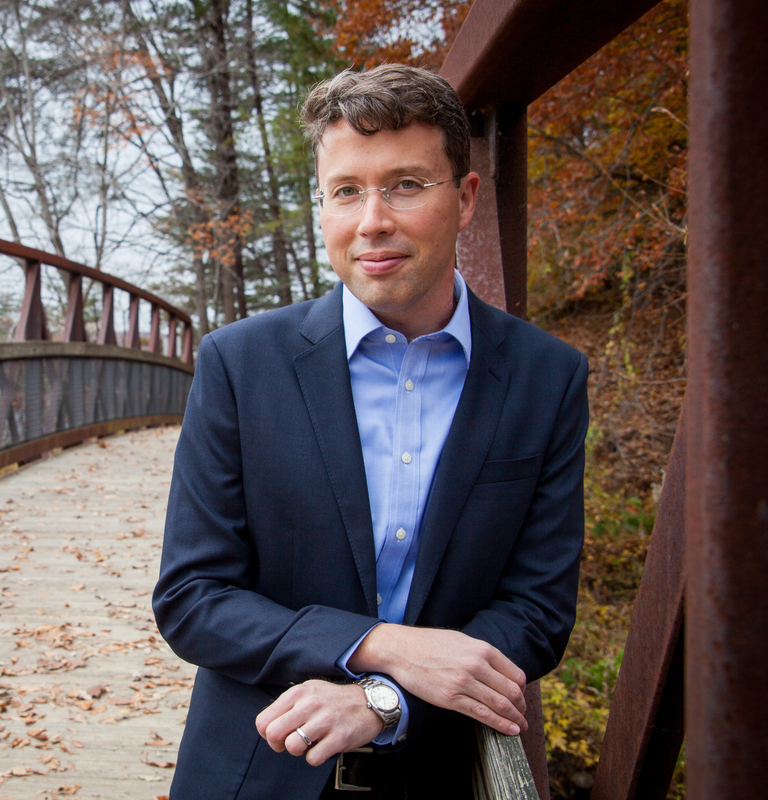 Given that Alex and Simon are ardent believers in uniting the Christian denominations of Catholicism and Orthodoxy, why do they trust Michael Black, who devotes himself to fomenting division between these separate communities? 7. How does Alex’s unanticipated role as a single parent to Peter reframe his understanding of his life’s obligations? How does he make sense of his wife’s unexplained disappearance? Compare Alex’s and Peter’s experiences of Mona’s absence. How does her surprising return to their lives impact them individually? How would you describe her role in the novel? 8. How does Ugo Nogara’s pursuit of the truth about the Holy Shroud set the plot of The Fifth Gospel into motion? Ugo’s character is revealed posthumously—through flashbacks, voicemails, and notes. What do these pieces of evidence establish about his personality? Given all that we as readers learn about him, does his death seem consistent with the way he lived his life? 9. “Simon stands. ‘I’ve decided that I won’t defend myself against the murder charge’” (141). What does Simon’s decision to opt for silence rather than confess to murder or defend himself reveal about his character? How would you describe Simon’s faith? How does his elite position in the Secretariat add to the cloak of secrecy that surrounds him? How much does Alex truly understand his older brother and his motives? 10. What role does His Eminence Lucio Cardinal Ciferri play in the lives of Alex and Simon? How does his character evolve over the course of the novel? How does Uncle Lucio use his authority to help his family, and what does this suggest about the nature of Vatican politics? 11. Describe the scene at the opening night of Ugo’s exhibit. How do the gestures of religious reconciliation made by Pope John Paul II in the Sistine Chapel at the end of the exhibit alter the course of religious history for Catholic and Orthodox Christians? How is the reunion of these long-divided denominations made possible by a cover-up? 12. “So this is why my friend died. Because I taught him how to read the gospels. And because he had the bravery to speak out about what they revealed” (381). How does Alex’s hermeneutical expertise enable him to connect Ugo’s death at Castel Gandolfo to the truth about the Shroud’s authenticity? Why does Ugo use a code involving the gospels to reveal the truth about the Shroud to Simon? 13. “Simon peers down at me. And there is such heart-splitting love in that look” (403). Why does Alex falsely confess to Ugo’s murder? To what extent is Alex’s deception guided by his faith? What does Alex’s calculated lie signify to Simon? How do both brothers, through their actions in this book, embody the passage from John 15:13—“Greater love hath no man than this, that a man lay down his life for his friends”? 14. How does the author characterize the community of Vatican City? What does its nearest neighbor, the city of Rome, represent to many Vatican City dwellers? How do some of the minor characters in this novel—figures like Guido Canali, Sister Helena, Gianni Nardi, Leo and Sofia Keller—enhance your appreciation of secular and religious life in this altogether unique city-state? 15. Alex identifies himself early in the book as an Eastern Catholic. How might his minority status within his own Church give Alex a heightened appreciation of the religious hierarchies in Vatican City? How would this novel differ had Simon Andreou been its narrator? 1. In The Fifth Gospel, brothers Alex and Simon share the belief that they are to submit themselves and their lives to God. Their faithfulness to God’s will leads them down very different paths. Have members of your group discuss the significance of faith in their own lives. How, if at all, have religious traditions shaped who they are as people? How have they shaped other members of their family? Members of your group may want to consider the moral or religious underpinnings of their childhood, and examine how they have followed or departed from them in their adult lives. 2. In The Fifth Gospel, Ian Caldwell examines the profound emotional impact of losing a parent. In the case of Alex and Simon, the early deaths of their father and mother force them to rely more closely on each other; in the case of Alex’s son, Peter, the sudden disappearance of his mother in his infancy colors his young world incalculably. Some members of your group may have experienced the early loss of a parent firsthand. How does Caldwell’s theme resonate with them? What qualities do children who grow up without parents seem to exhibit? Have members of your group consider the characters of Peter, Alex, and Simon in their discussion. 3. The Shroud of Turin functions almost as a character unto itself in The Fifth Gospel. Rumors of its holy presence haunt the tight-knit Vatican City community in Caldwell’s novel, and its appearance in the Sistine Chapel at the exhibit organized by Ugo Nogara seems partly responsible for enabling the reconciliation between Orthodox and Catholic Christians. Ask members of your group to discuss their feelings about the Shroud. Do they believe it to be a holy relic? How does the carbon dating of the Shroud to the Middle Ages affect their thinking about it? Members of your book group may choose to discuss the significance of the Shroud to them, and what the mystery surrounding the Shroud’s origins represents to a wider world audience, both religious and secular. 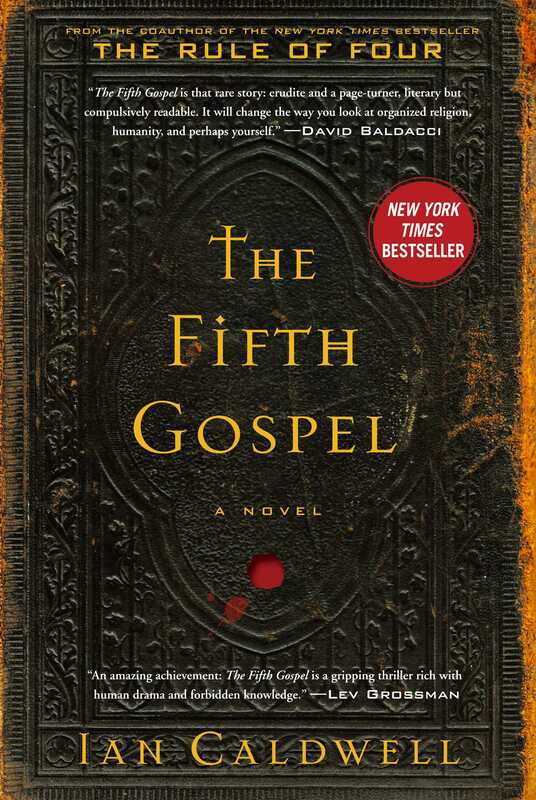 Ten years have passed since the publication of your first novel, The Rule of Four, and the release of The Fifth Gospel. How many of those years did you devote to writing The Fifth Gospel? All of them! I started writing The Fifth Gospel even before The Rule of Four was published, so it’s been almost a dozen years of work. But the first incarnation of this story was completely different: a team of archaeologists goes searching for a lost wonder of the world that, as the characters discover in the end, changed the way Jesus came to be depicted in Christian art. When I finished writing that manuscript in 2006, I realized I’d told the wrong story. The adventure novel didn’t engage deeply enough with the question I cared about most: how Jesus became a subject of Christian art, since the gospels never describe his appearance and early Christians were opposed to making images. Where did the tradition of a long-haired, bearded man come from? Eventually I decided to rewrite the book and set it at the crossroads of faith and art: the Vatican. I had a feeling the switch was going to involve some research, but the Vatican is the world’s smallest country, so how much research could it really take? Famous last words . . .
You cowrote your first novel with a childhood friend. How would you compare the experience of writing fiction with a partner to writing a novel on your own? The monastic part of writing—the solitude and self-imposed discipline—agrees with me. Since I have three sons under the age of ten, those hours of deep silence and inner grappling feel almost medicinal! I do make a lot more blockheaded storytelling decisions than I did back when I had a friend looking over my shoulder, but fortunately my old coauthor is just a phone call away, and we still eyeball each other’s drafts. Dusty [Thomason, cowriter of The Rule of Four] now works in Hollywood and writes mainly for TV. He’s more at home in the West Coast creative world, and I’m more at home in this East Coast one, but we’re on the phone all the time, trading stories and comparing notes. What drew you to setting your novel in the notoriously insular Vatican city-state, and how challenging was it for you as a fiction writer to re-create its environment in your narrative? I was attracted to the challenge of writing about a secretive place . . . only to find out that this particular place wasn’t as secretive as I’d thought. In fact, there’s probably no better-documented place on earth than the Vatican, once you know how to find what you need. Two-thirds of the city-state can be visited most days of the year by almost anyone. The pope is one of the most photographed people on earth, and considering that his golf course–size country has its own daily newspaper, publishing house, radio station, and TV operation, in any other context the Vatican would be accused of media oversaturation. On top of that, books have been written on every subject from the pope’s finances to the pope’s clothes to the pope’s cars, and on the seedier side of things there are paparazzi who will sell you aerial drone photos of the inner Vatican and recount, step by step, how they broke into the pope’s summer residence to take compromising photos of the Holy Father in his private swimming pool. (You also wouldn’t believe some of the things that turn up on eBay.) What surprised me most, though, and what made a great impact on The Fifth Gospel, was the willingness of Catholic priests with Vatican experience to talk openly about their lives. We novelists haven’t given them much incentive to do that, but they did it, anyway. So one of the biggest challenges of creating the Vatican of The Fifth Gospel was how to do justice to the huge volume of factual information at hand. Eastern Catholicism is not well known. How did you come to learn about it, and what led you to make Alex Andreou, the protagonist of your novel, an Eastern Catholic? At an early stage of researching The Fifth Gospel, I was reading books on different subjects when everything suddenly converged. While learning about the internal legal code of the Catholic Church (canon law), I’d found out there are separate codes for Latin Rite (“Roman”) Catholics and for Eastern Catholics. I’d also been reading a biography of Pope John Paul II, who in his final years tried to reunite the Catholic and Orthodox Churches but couldn’t quite fix the problem that many Orthodox view Eastern Catholics as obstacles rather than as middlemen. And of course I’d been scanning hundreds of pictures of Vatican life, and whenever there was a big enough gathering of cardinals, I noticed that a few of them were dressed in unusual robes and headpieces and jewelry. Since Catholic clerical dress is as rule-bound and complicated as the American tax code, I knew there must be a reason for that. What I didn’t expect to find was that the pope oversees almost two dozen Catholic rites I’d never known existed, and that their Christian traditions offered a new perspective on what I’d thought of as Catholicism. The writing of The Fifth Gospel coincided in my own life with a decade in which I got married and had three children, so one of the ancient Eastern traditions that resonated with me was the practice of allowing married men to become priests. I’d known from the beginning that I wanted to write not just about a Vatican priest but about a Vatican family. Now I had a way to do it. The Fifth Gospel repeatedly addresses the theme of the loss of a parent. Even Ugo’s focus on the authenticity of the Shroud of Turin seems grounded in a preoccupation with the death of Jesus Christ, the eponymous father of the Christian Church. Did this theme grow organically out of your novel as you wrote it, or was it something that you knew from the beginning would play an important part in Alex’s story? It emerged naturally from the source material. The importance of suffering and sacrifice is probably greater in Christianity than in most other religions. There’s a lot of foreshadowing and symbolism in the gospels that make it clear Jesus’ life and ministry are being understood retrospectively in terms of his death, which was the loss of a parent-like figure for the disciples. But what makes Jesus’ execution even more painful to read is his abandonment by those same disciples who had been his loyal followers: his loss of them. I wanted the novel to deal with those emotions not only in the context of scripture but in real-world terms, in real suffering, in real pounds of flesh. I wanted Alex’s final choice to be freighted not only with his feelings toward Simon but expressive of how faith and experience had taught him to cope with loss. In the course of your research for this book, did anything you encountered relating to life in the Vatican especially surprise you? Please explain. Vatican culture is an odd concoction of the old and the new, with Americans often serving as representatives of the new. On the one hand, there are throwbacks to an older time that most Americans have trouble envisioning; for instance, the clock atop the pope’s palace at Castel Gandolfo has only one hand, and its face is divided into only six hours instead of twelve, because that’s how time was kept before Napoleon took over the country and imposed modern standards. On the other hand, whenever the pope is flirting with a newfangled technology, you can count on American Catholics to be first in line to give him the goods. One of the first papal automobiles was a gift from Americans. Americans supplied the modern steel shelving at the Vatican Library, and are still playing a major role in digitizing the book collection. (The only microfilm copy of the pope’s most important texts, in fact, is in St. Louis.) The Vatican Observatory’s new cutting-edge facility is located not in Italy but in Arizona, the Holy See Internet Office was founded by an American nun from Long Island, and the Vatican internet domain suffix—.va—was procured by an American archbishop. Even the papal Latinist, who works down the hall from the pope, translating official documents from Italian into the ancient language of Rome, was until recently a Milwaukee native whose most talked-about job may have been creating Latin menus for the Vatican Bank’s new cash machines. Why do you think the mysterious origins of the Shroud of Turin continue to arouse considerable controversy in today’s culture? I’d say the controversy that erupted after the radiocarbon testing of the Shroud in 1988, which declared the Shroud a medieval fake, has now given way to an interestingly stable disagreement between the two camps. There are millions of people who consider the Shroud a fake because they believe science has delivered the final word, and there are millions of people who continue to travel to Turin to see the Shroud during its occasional expositions because their faith remains unshaken. The Fifth Gospel tries to open up both sides to new perspectives. On the one hand, there may well have been some irregularities about the cloth sample of the Shroud used in the radiocarbon tests. And something resembling the Shroud certainly existed before the earliest date given by the carbon-dating results. We have texts from before that date that refer to a burial-cloth relic or a cloth imprinted with a mystical image of Jesus. On the other hand, Catholic biblical scholars themselves have expressed doubts about the Shroud, and The Fifth Gospel shows that a scientific reading of the gospels raises important questions about it. Ugolino Nogara is a fascinating, exuberant, and contradictory character. Was it challenging for you as a writer to confine him to a posthumous role in your novel? Not at all—I’m not shy about using flashbacks! And death is a powerful tool for concentrating the significance of a character’s life. What made Ugo challenging wasn’t confining him to a posthumous role, but taking him on a journey that moved between certainty and doubt about the Shroud, and making him a man who inspired both confidence and skepticism in others. In a world of unwavering religious convictions, ambiguity and contradiction are powerful forces, and with both Ugo Nogara and Michael Black I tried to make the most of them. The relationship between Simon and Alex in The Fifth Gospel reveals the typical complexity of sibling dynamics, but also the stratified and hierarchical nature of Catholic leadership. What did you learn in your fictional exploration of professional status within such a sprawling religious institution? The Vatican is unusual within the Catholic Church: because it’s an ecclesiastical state, its internal rules reinforce the hierarchy in small ways you would never see elsewhere. At the Vatican medical clinic, for instance, bishops have their own private entrance. At the Vatican grocery store, they can cut to the front of the checkout line. Priestly rank determines where you’re seated at events, whether you can call for a car from the Vatican sedan pool, even how quickly you get service from a Vatican repairman. But it cuts in the other direction, too. Having so many high-ranking clergy in such a small area can be equalizing and even humbling. In any other Catholic diocese, being a monsignor would be something special, and being a bishop would mean standing at the top of the hill. But when diocesan bishops talk about their trips to the Vatican (which are required of them every five years), they sometimes sound as awed as young priests from rural parishes describing visits to their big-city bishops. Everyone in the priestly hierarchy feels that way in the presence of the pope. It was only a few decades ago that the pope was carried around on a portable throne, and visitors meeting him in person would show their respect by kissing his shoe. If you were a Vatican bureaucrat who received a work call from the Holy Father’s phone, it was customary to kneel while answering it. So despite the outer pageantry of Vatican life, there also remains a deep inner sense of respect and humility that keeps (some!) prelates more down-to-earth and accessible than you might expect. Are there any aspects of the Christian faith that you’ve depicted in this book that you think will surprise or disturb your readers? Which ones and why? Christians of different denominations interpret the Bible differently. At the risk of oversimplifying, some believe every word of scripture should be understood in a literal, factual sense, while others, going back to some of the Church Fathers, believe the Bible is sometimes literal but sometimes symbolic. In The Fifth Gospel, Father Alex interprets the Christian gospels according to the modern historical-critical method that has been embraced by the Catholic Church and taught in its seminaries for the past seventy years. For Christians who have never looked at the gospels carefully side-by-side, and especially for Christians who hew to biblical literalism, the results might definitely be surprising! Agnostics and atheists might also be surprised by how rigorous and scientific Christian scholars are willing to be with their own holy texts, even when it leads them to difficult conclusions, as it does in The Fifth Gospel.